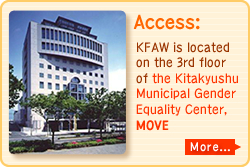 We publish the newsletter Asian Breeze, available in Japanese and English, three times a year. Featuring topics on women especially in the Asia-Pacific region, the newsletter carries columns by both Japanese and overseas experts in various fields, as well as local reports by foreign correspondents. You can get back issues of Asian Breeze from the inaugural edition forward at no cost. Availability will depend on quantity. Contact us for your issue. 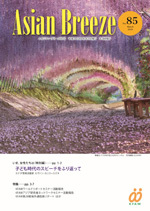 Asian Breeze is published in Japanese and English. Simply ask for the version of your choice.